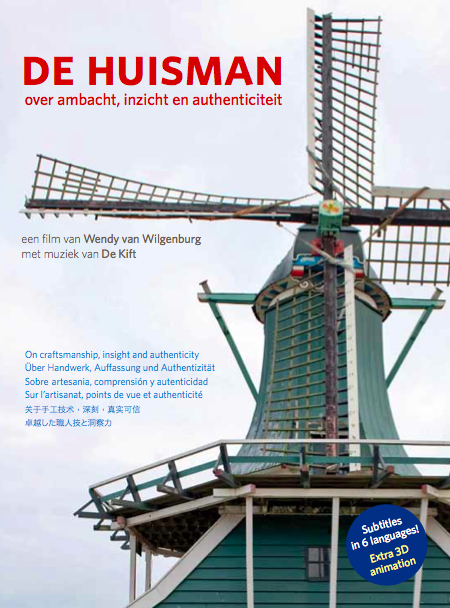 The DVD of the documentary film is for sale on several locations: at the Molenmuseum, at windmill Het Pink, at the Zaans Museum, in De Huisman mill (entrance free), in several touristic shops at the Zaanse Schans, at Bruna bookstore in Zaandam, and at Glasatelier De Glazen Pauw.. The DVD can also be ordered through this website (€ 2,00 postal cost). Subtitled in English, German, French, Spanish, Chinese and Japanese. DVD Extra: 3D animation of the works of the wind mill. Please fill in the form and click on send to start the payment process (choose PayPal).